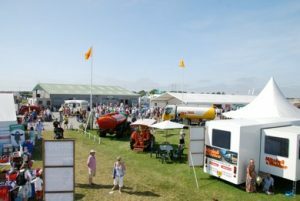 Throughout our site, we have a number of exhibitor opportunities available. Whether you are a retailer selling parts and accessories, a dealer looking to display your fleet or a professional services company who specialises in working with the motor and haulage industries, we can tailor your site to your needs. All sponsors / exhibitors will benefit from the promotion via the Waterford Truck & Motor Shows own media outlets which will have a nationwide reach and will include local and national press, trade press, radio and social media (Facebook and Twitter), along with twelve months advertising links on our web page . The Waterford Truck and Motor Show Committee would like to thank you all for your continued support, enthusiasm, dedication and passion that make this “Charity Show” such a success. This being our 8th Waterford Truck and Motor Show highlights that sponsors, exhibitors, volunteers and donors past and present are committed to ensure that the biggest Truck Show fundraising event in Ireland, will continue year after year, to raise much needed funds for selected charities (This year proceeds will go to the RNLI) along with promoting all that`s good and positive in the transport industry. Roll on May 4th and 5th . . . If you have any queries do not hesitate to contact us.